In case you haven’t heard, the most anticipated show of this spring is finally here. Entertainment giant, Cavalia, brings a unique theatrical event with performing horses to Toronto’s Port Lands. Aptly named Odysseo, this rare and extravagant equestrian show takes audiences on a beautiful journey that surpasses their imagination. Sprawled across the industrial skyline of the Port Lands, the Big White Top that houses the performance as well as training grounds for all the horses stands at 38 meters tall and spans 12 basketball courts. Impressed by the sheer scale of the venue (which was larger than last year’s Kurios), we were eager to see what the show had to offer. With a roster of 70 horses in Odysseo’s 4-legged company, all of the breeds are male. 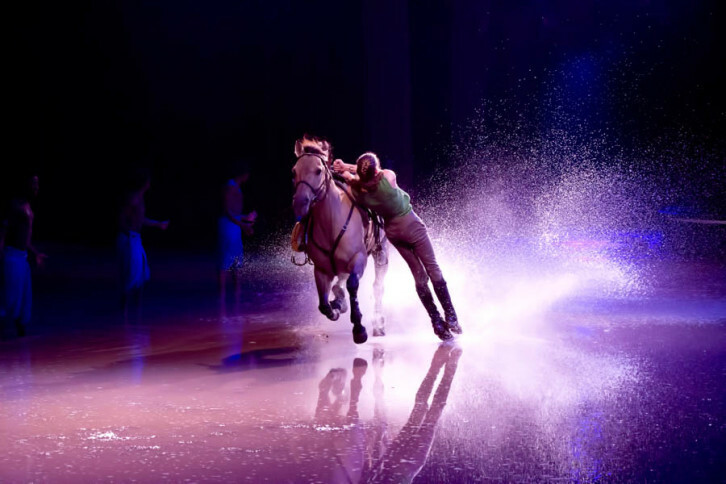 Notoriously difficult to train, there are 13 majestic stallions among the cast – evident of the dedication and effort Cavalia put into the show. The heart and soul of the performance was certainly the bond between the human cast members and their horses. We held our breaths as we watched the intense, physically impossible tricks performed flawlessly by the horses and their riders – such daring acts are proof of their long-term trust. There are 45 artists from around the world, which include riders, acrobats, aerialists, dancers and musicians. The acrobats and aerialists were a wonderful addition to the equestrian performances, complementing them with their gripping, gravity-defying stunts. 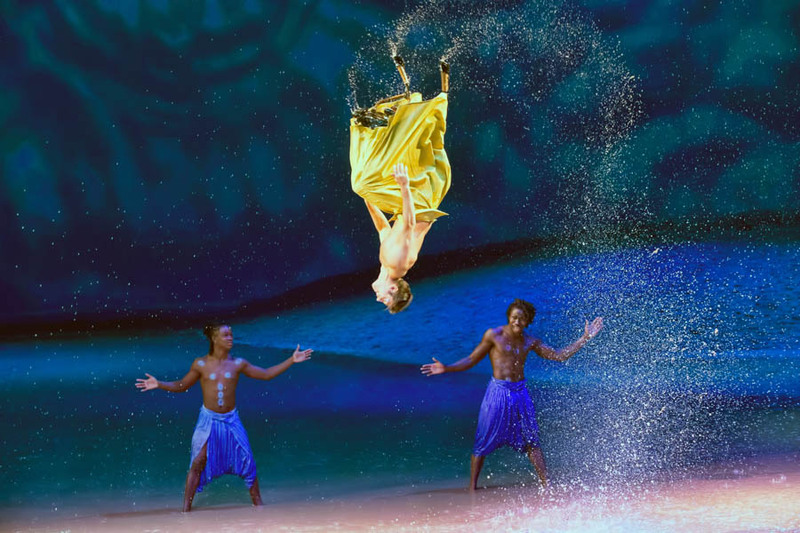 I was impressed by details that Cavalia put into the show – casting a live band with a vocalist. The exotic folk music harmonized the fantastical performance brilliantly. 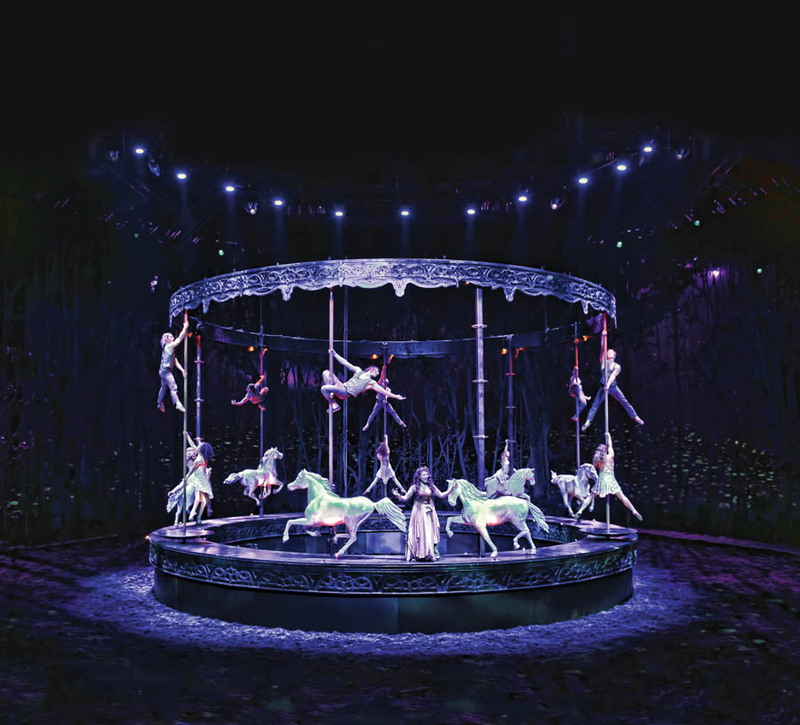 What’s even more innovative about Odysseo isn’t just its marriage of equestrian and stage arts, but also its advance and creative use of high-tech theatrical effects. The show literally takes audiences on a trek around the world with various Hollywood-style movie sets and high-definition projection that make each setting look incredibly real. From the high plains of Central Asia to the red desert of the Grand Canyon, the backdrops feature some of the most awe-inspiring landscapes on earth. Even an ocean and beach were replicated on stage for the finale by flooding 300,000 litres of water with its underground drain system. I was struck by the ingenuity of Odysseo when a beautiful life-size, hanging carousel was lowered on stage, mingling mechanical and real horses, along with spellbinding aerial acrobatic performances along the carousel poles. This spectacular theatrical performance proves to be a moving poetic expression that transcends any circus show. A must-see, Odysseo runs for a short time at the Port Lands from now until April 26th. We are happy to announce that we’re giving away an awesome prize package to one of our readers! One lucky winner will win a $100 gift card to The Keg AND two (2) tickets to Cavalia’s Odysseo show! How awesome is that?!? There are two ways to enter, via Twitter or Facebook or both. Like @BestofTorontoTV on Twitter. If you already do, that’s amazing and we thank you! Like this post on Facebook and in the comments, tag the person you would bring if you won this great prize! Contest closes April 22nd, 2015 at 4:00pm. One entry per Facebook account. One entry per Twitter account. No transportation provided. Winner must be a GTA resident. 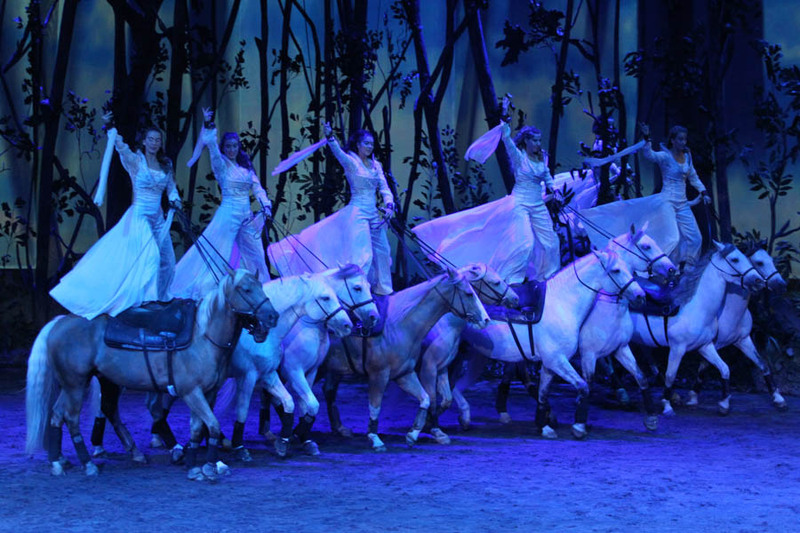 The prize of two tickets to Cavalia’s Odysseo is valid until shows scheduled up until May 10, 2015, excluding 2pm shows. Winner must reply and provide email, mailing address, and preference of show according to the Odysseo schedule, excluding 2pm shows. Photos courtesy of Pascal Ratthe, Lynne Glazer, Color-ish Company, Shelley Paulson, Alexandre Legault Dery, Francois Bergeron, and JF Leblanc.